A great shot from NASA looking east. 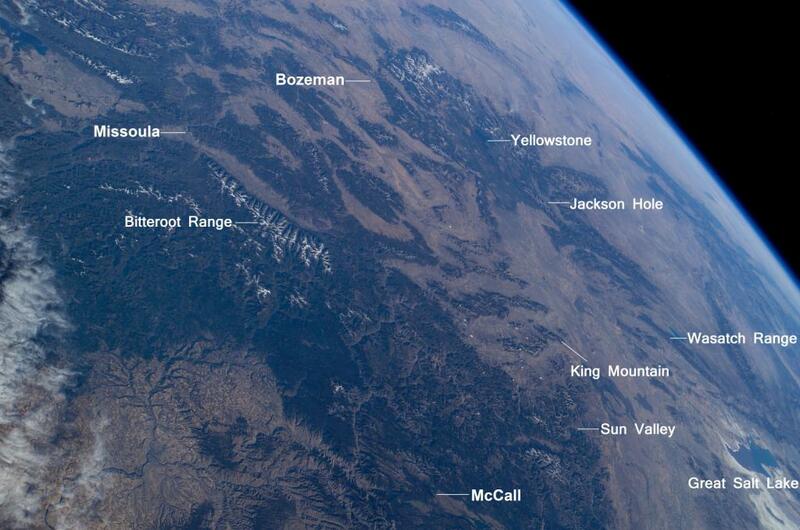 Just to the right of King Mountain we can see the vast expanse of the Snake River Plain that was created by the Yellowstone Caldera, a huge hotspot currently very active under Yellowstone. 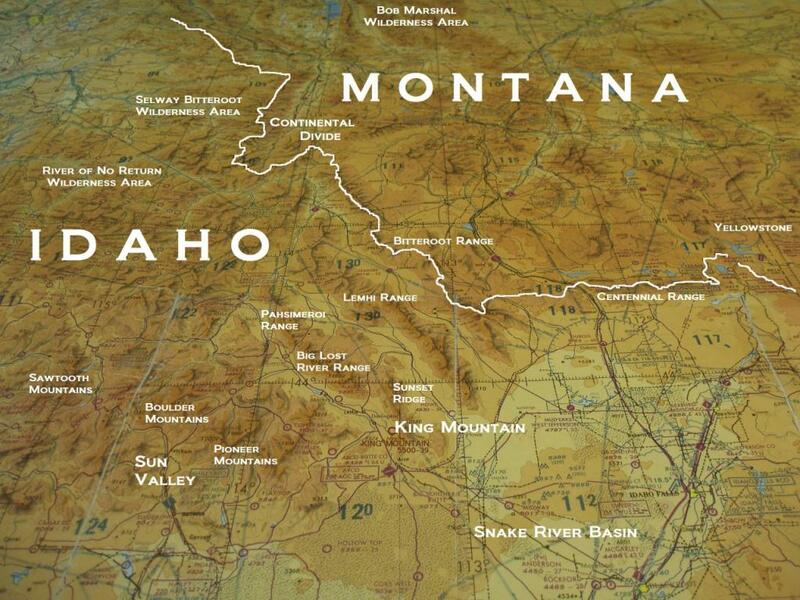 Tasks from King have the flexible option of flying over the flats of the Snake River Plain, or flying over the Rocky Mountains and Range and Basin formations to our north and east. Located in the center of the western half of the United States, we believe that King Mountain is an ideal location for any soaring vacation, regatta, or competitive event. It is easy to get up at King Mountain. 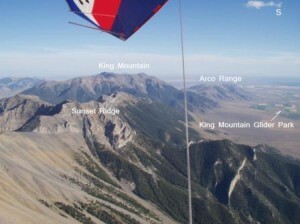 The Glider Park is located on the western flank of King Mountain just 2 ½ miles from the lower foot launch site (about a 5/1 glide.) Prevailing winds are from the west (left to right as seen in this photo.) Ridge lift and massive thermals abound. 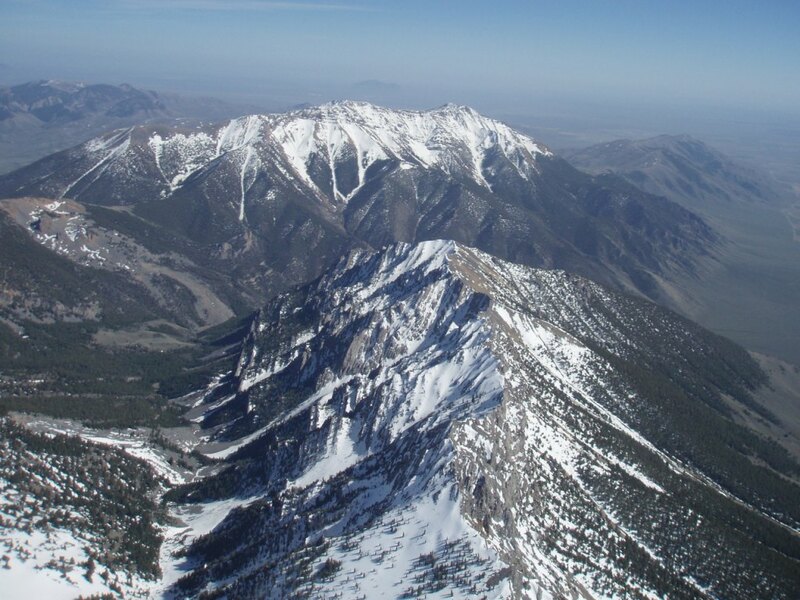 The powerful thermal trips are mid range and stand about 2000’ feet above the valley floor. Great lift can be found above the thermal trips and above the ranges. Looking south while soaring on a Falcon Hang Glider above Sunset Ridge at 11,000’ feet. The Snake River Basin can be seen in the distance. 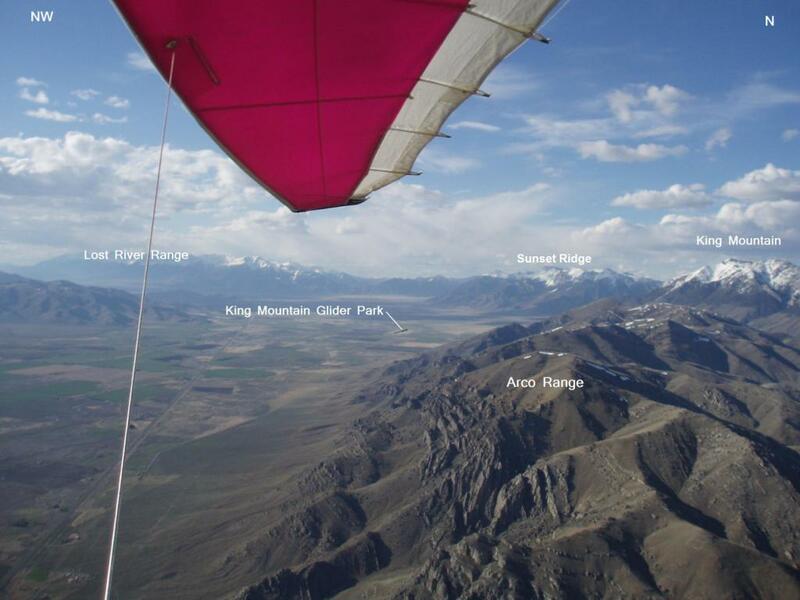 The Parks location, with the Snake River Plain immediately to the south and enormous mountains and alpine regions to the north, gives the King Mountain Glider Park great flexibility for official task calls or just fun personal goals. Here we are about 5 miles from the Park looking northwest. 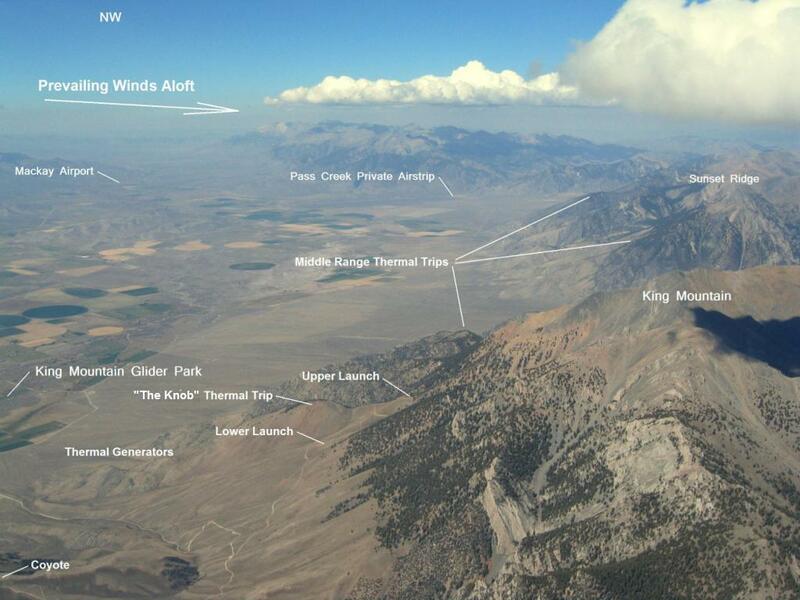 King Mountain is at 10,780’ feet above sea level and the Glider Park is at the 5,500’ level. Sailplane pilots can now experience the excitement, adventure, and the awesome scenery that the Hang Gliders and Paragliders have known about for over 30 years.